Chile has had a significant increase in the amount of farmed salmon exports over the last two decades, becoming the second largest exporter in the world after Norway. Farmed salmon industry in Chile is an interesting case given its problematic interaction with communities, the natural environment and other economic activities. Most production of salmon has been concentrated in Chiloé Island, Southern Chile. Some years ago the industry starts to move toward the extreme south of Chile. 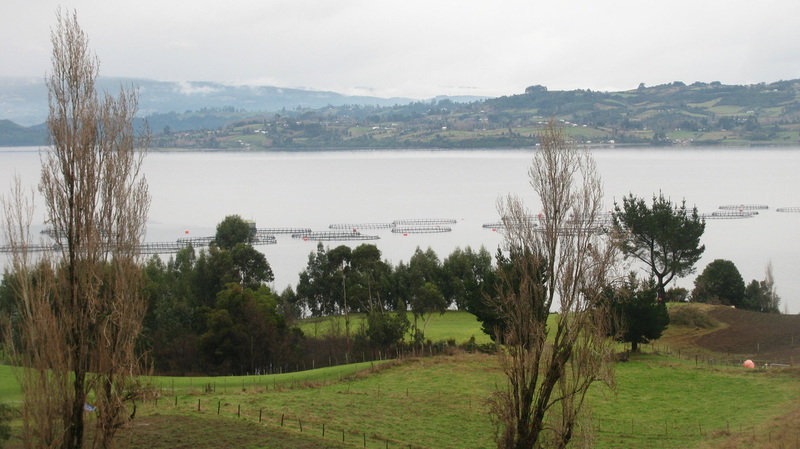 This is a picture showing abandoned salmon farms in Chiloé, municipality of Puqueldón. "This is a benchmark study, timely and up-to-date, which examines social and environmental change and the connections between them. It explores global changes while focusing on specific cases and the complexities of research at different levels. The Editors are to be congratulated for bringing together such a thoughtful, comprehensive and incisive volume." Organic is not only for the rich consumers. 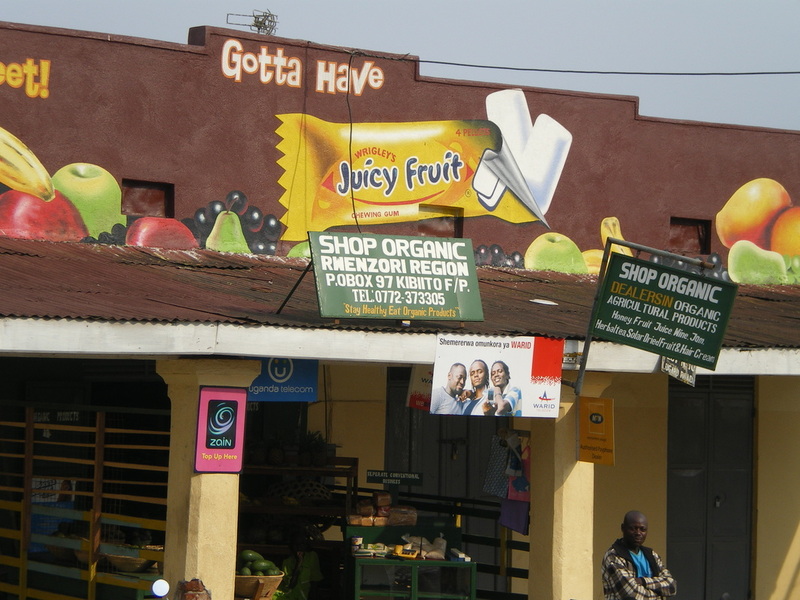 An organic food shop in Fort Portal, Uganda. 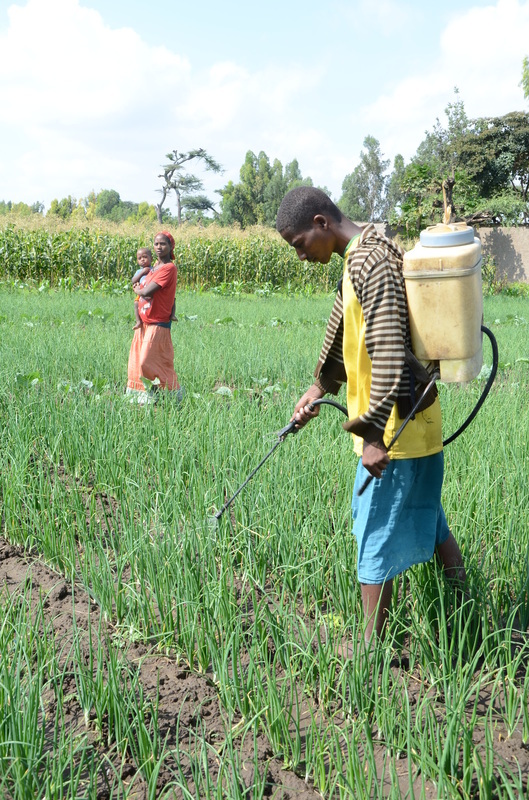 How to reduce unprotected pesticide spreading by vegetable growers in Ethiopia? Research by PhD-student Belay Mengistie (Environmental Policy Group, Wageningen University, the Netherlands). 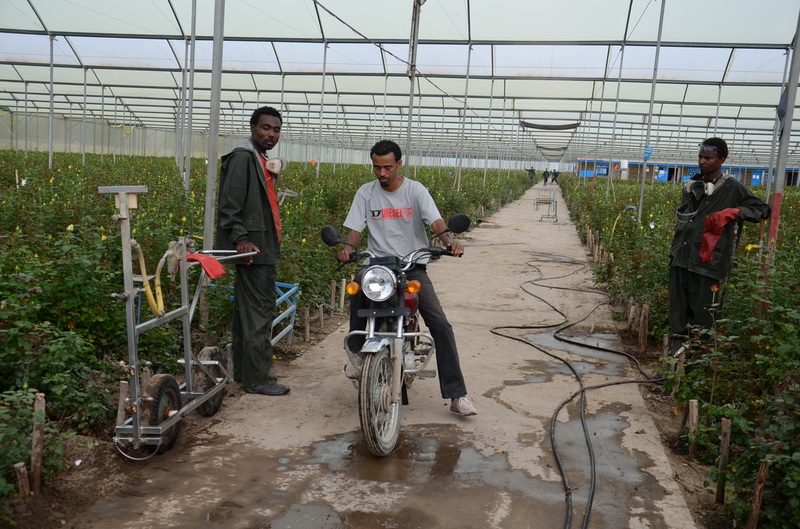 A flower farm in Ethiopia where attempts are made to reduce pesticide use and increase workers’ safety. Nobody seems entirely sure who it was that first drew the attention of Holbox islanders to the tourist potential of the whale sharks. 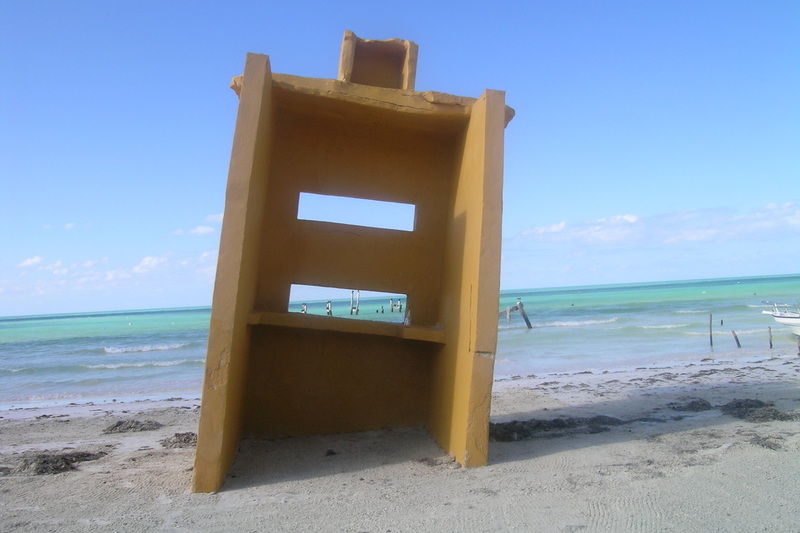 Isla Holbox is a sand spit which lies off the top of the Yucatan peninsula, west of Cancun, but separated from the mainland. It is generally agreed that about ten years ago the fishing families began taking visitors out to see the whale sharks – initially this was a small scale venture. The waters where the whale-sharks congregate is far from the shore but the water is relatively shallow – just twenty metres or so. In most other parts of the world where whale-sharks congregate, such as off the Honduran coast and in India, the waters are much deeper. Consequently, it is easier to see, and to swim with, the whale-sharks off Holbox. It is a measure of the adaptive speed of the Holboxenos that they quickly developed a‘logo’ for their island that incorporated the whale-shark. The shark has come to inhabit the island, as it were, and the island to inhabit the shark. 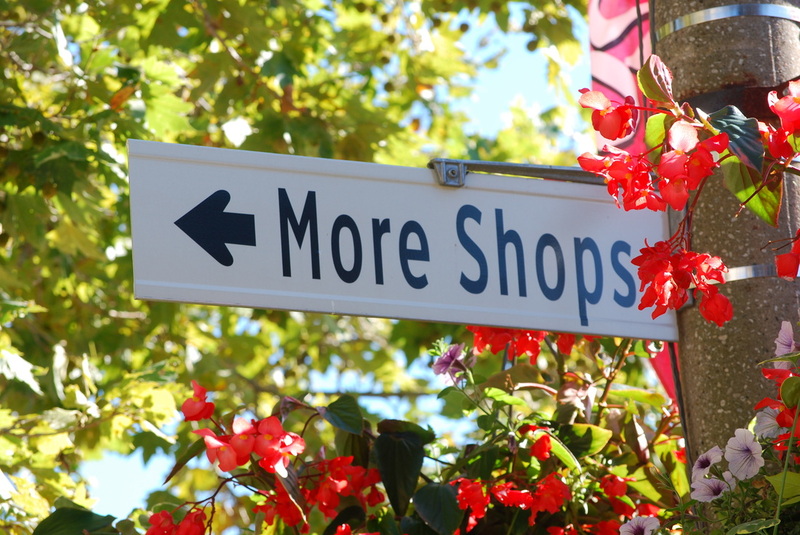 This logo is now used everywhere, on houses that have been refurbished, on the front of shops and cafes and in hotels. It is a piece of design genius which has enabled the locals who benefit from the whale-shark season, and the hotel entrepreneurs, to become a global brand – and be advertised on the World Wide Web. Local people also insist that their interest is in conserving the whale-sharks rather than hunting them so, in this at least, they are displaying conservation objectives. 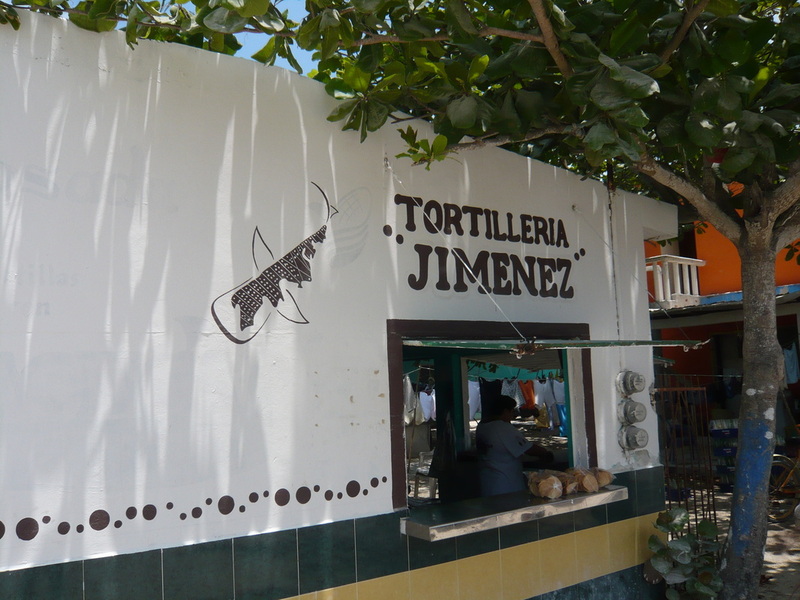 It is also used widely in the Web advertising for Holbox’s whale-shark season, which boosts local tourism. 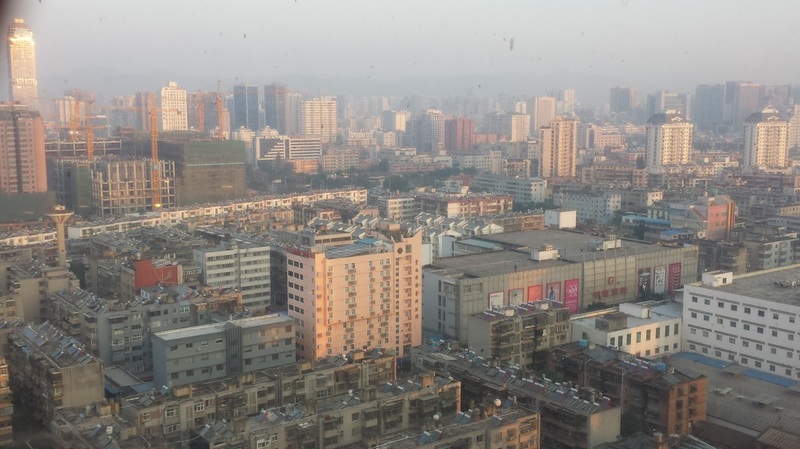 There is a darker side to development, however. Isla Holbox is also regularly exposed to hurricanes which move into the Gulf of Mexico from the Caribbean – at precisely where Holbox lies. The second picture below shows hurricane damage. 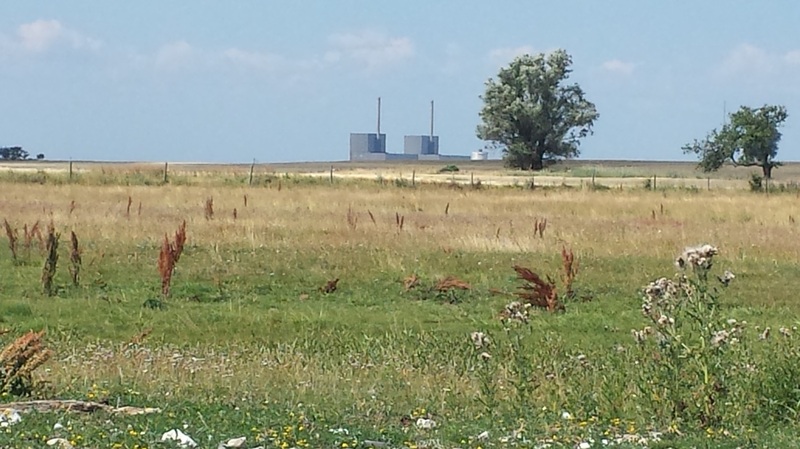 The Swedish nuclear power plant Barsebäck, located 25 kilometers from the Danish capital Copenhagen. The two reactors were closed down by the Swedish government in 1999 and 2005. 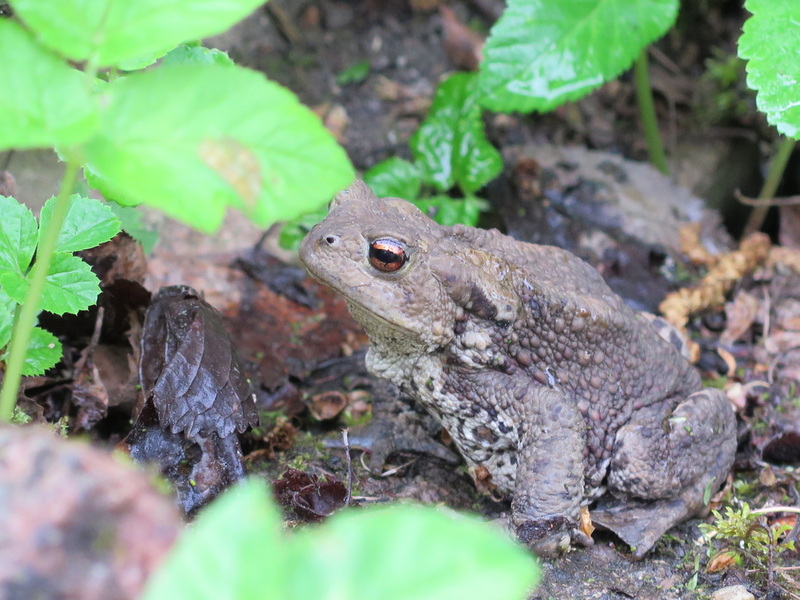 Since I have heard that frogs are a sign of a clean and healthy environment I was happy to meet this creature “eye to eye” in the garden of my summer house. However, it turned out to be just an ordinary and rather common toad. Still, I am happy about our silent moment together.